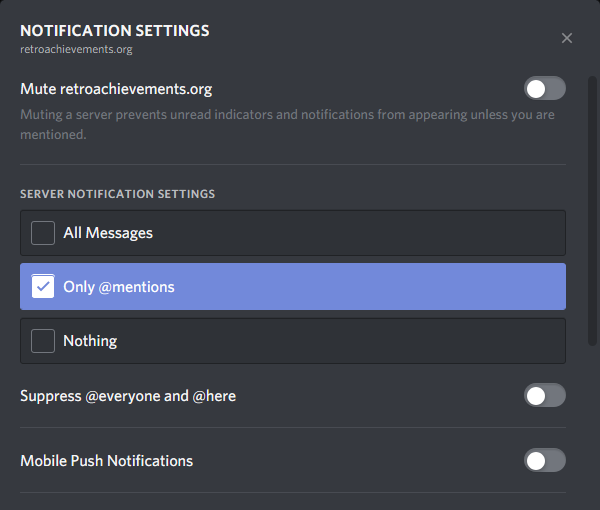 Right click on the server icon, click Notifications, and set it to this. I was hoping to be able to turn off notifications on only this thread , but I think I will do as you said. I would like to be verified on Discord. My username is Daseot. I would like to be verified. My name on Discord is Malik the Hedgehog#4507. Could I get verified please? Same name as on here. :3 Thanks! Verify me :) My name is the same on here. I need to be verified on the Discord. Thank you.